Mid-winter brings a more monotonous selection in the produce aisle but a bounteous variety in the citrus section. While the fresh berries and melons of summer have faded into memory, the market is piled high with oranges, grapefruits, lemons and limes. Even though varieties of the fruit can be found throughout the year, some citrus is only available in the winter – blood orange, pommelos, Meyer lemons and tangerines. It’s the perfect time of year to add these bright flavors to a cocktail. 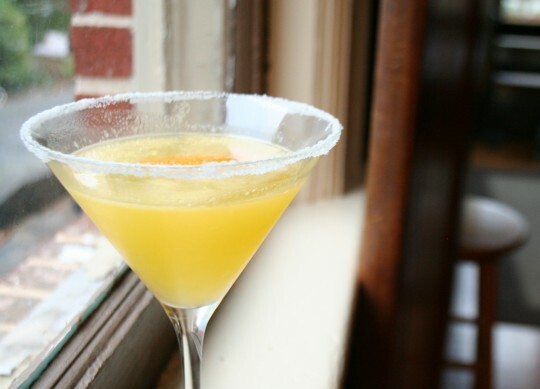 This week, I’m making a Tangerine Drop Martini. With the end of the hot weather, I think it’s time to put away the fruity, fizzy drinks of summer and return to the warmer amber spirits. 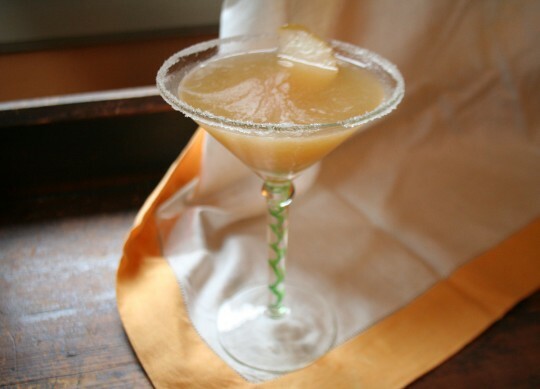 I do love the classic cocktails that use brandy, rye and whiskey as their base, and the Sidecar is one of my favorites. 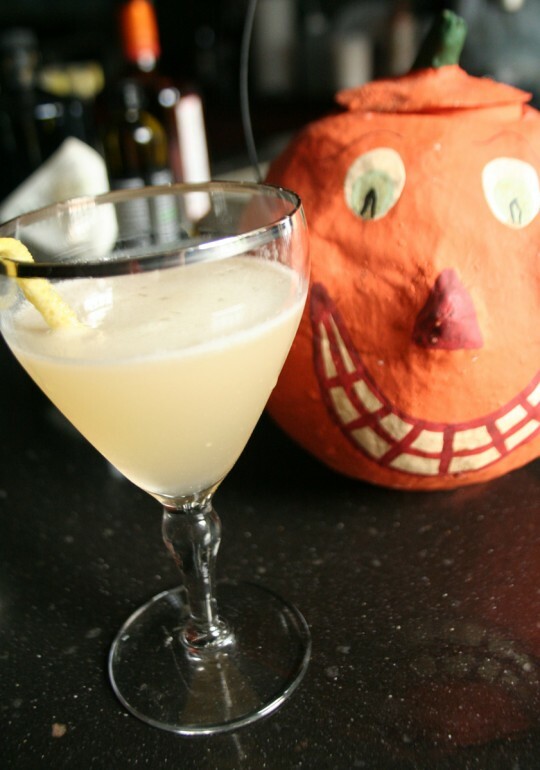 Variations of the Sidecar cocktail abound, so I felt at liberty to futz around with the general concept and make an Autumn Pear Sidecar cocktail. Living in the Peach State (that would be Georgia, by the way) means getting great locally-grown peaches throughout July and into August. Unlike the peaches from the supermarket, the local fruit that I get from the Farmer’s Market is ripe and soft to the touch. It also means that I need to use them quickly, while they are at their peak. 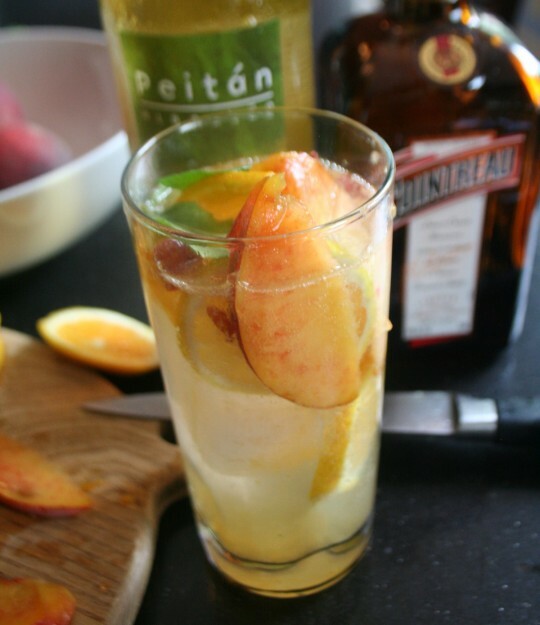 Yesterday, the weather was nice and the peaches were perfect, so I decided to make a pitcher of White Wine Peach Sangria.